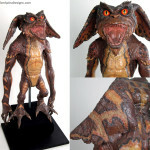 Restoration of an original Gremlins stunt puppet prop from the movie Gremlins 2 The New Batch. 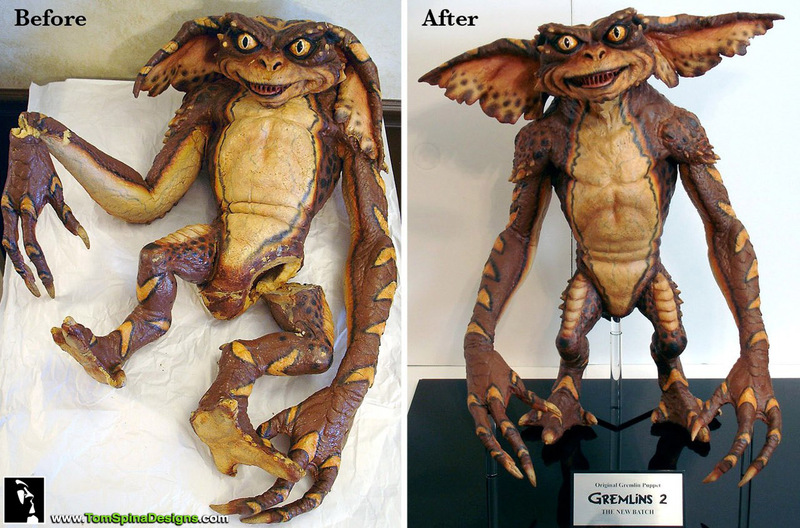 When this screen used latex and foam Gremlins stunt puppet prop arrived in our studio he was in need of significant repairs. The areas in need included the puppet’s wrist, his ears and leg joint. We began our restoration by repairing his ears. Among other issues, one of the foam prop’s ears was fused to a shoulder, requiring careful removal and then repair to both the ear and shoulder. We also had to reattach and re-enforce his leg and wrist to repair the damage to those parts of the puppet and prevent future damage from occurring. We then added internal supports as well as an archival body insert which helped to keep the body supported on his custom, museum stye base. With foam latex movie prop puppets, support is very important. 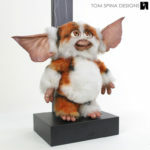 Simply placing it on a post or puppet stand could risk the neck tearing over time. Our custom ethafoam and batting form fills out the body and supports the head independently, taking much of the stress off the neck. 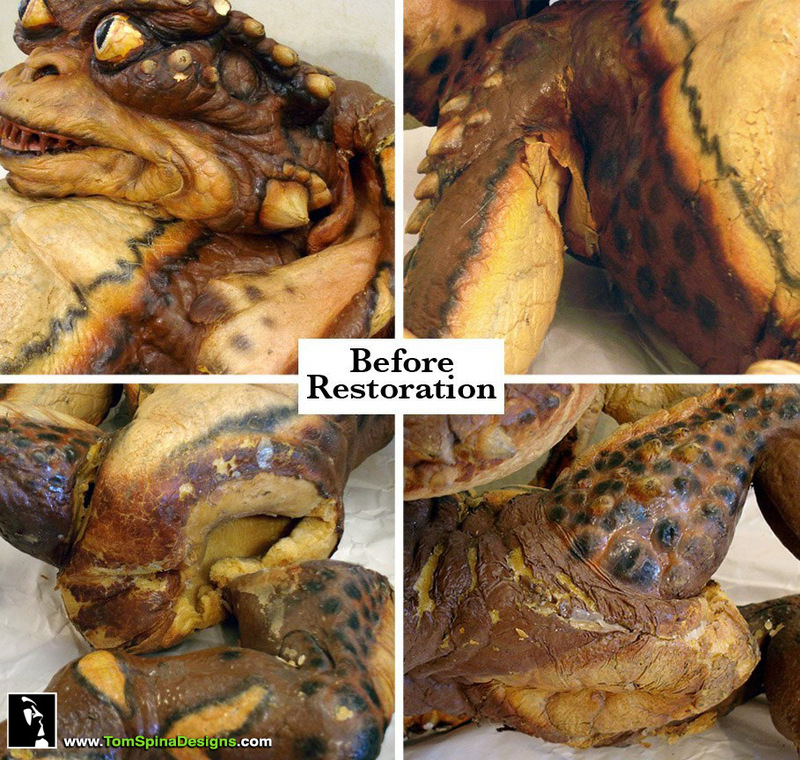 In addition to the major work, cracks, tears & flaked paint were gently restored and sealed to improve look while retaining character and a sense of “age” that keeps this movie prop looking original! 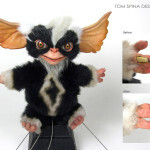 Click here to check out more of our Gremlins movie prop restorations! 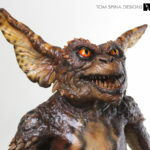 Want to relive Gremlins, Gremlins 2 the New Batch, and Goonies too? Order the triple feature Blu-Ray today and get all three for the price of one!